According to Egyptian legend, Horus, son of the light, outwitted the evil God Set and imprisoned him in a secret tomb. 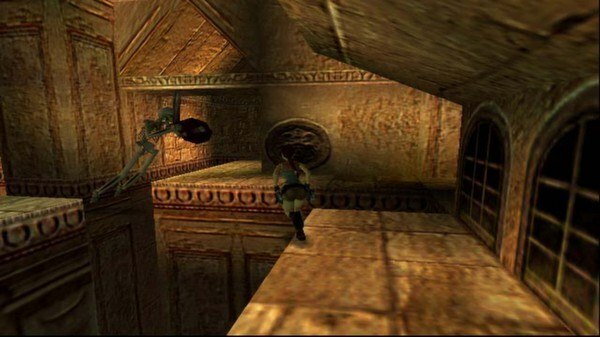 Five thousand years later, Lara Croft discovers the lost tomb and unwittingly unleashes the evil God Set, fulfilling the ancient prophecy of his return to plunge mankind into darkness! 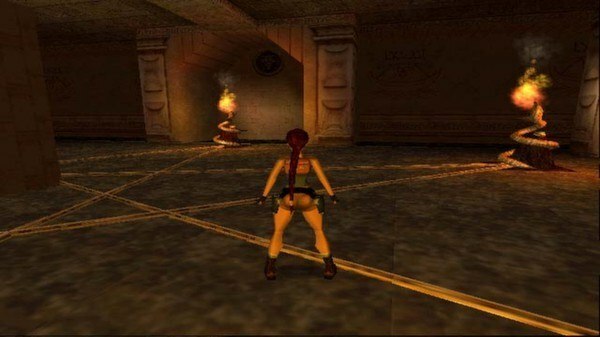 In a race against time, Lara must use all her wit and skill to re-imprison Set and save the world from Armageddon. Pursued at every turn by her arch-rival, the unscrupulous archaeologist Werner Von Croy, Lara embarks on a journey of discovery across Egypt, where she must overcome the most ingenious puzzles and infernal traps ever devised, and face terrifying evil from beyond the grave... With more twists and turns than an Egyptian labyrinth, this is heart stopping action-adventure; a Tomb Raider that truly offers... The Last Revelation.